Among municipalities recycling and reusing construction waste, including gravel, concrete, sand and asphalt, Ontario has its 'leaders' and its 'laggards,' explained Kate Graham, a Political Science professor at King's and Brescia University Colleges. Every year in Ontario, millions of tonnes of reusable asphalt and concrete aggregate is generated from road rebuilding and other construction projects. While most of it is recyclable for use in roads and other developments, local policies often prohibit or restrict using recycled aggregates in their construction projects. The net effect is millions of tonnes of recyclable aggregate unnecessarily end up in landfills – and that means missed opportunity for municipalities and taxpayers. "There are numerous environmental benefits from recycling aggregate materials," said Graham, including removing thousands of fully loaded trucks from the road and thus reducing greenhouse gas emissions; reducing wear and damage to public roads; conserving raw aggregate resources; and keeping massive amounts of material out of municipal landfills. Graham's research, commissioned by the Toronto and Area Road Builders Association, covered six regional municipalities and 19 single- or lower-tier municipalities. Collectively, these 25 municipalities serve more than 10 million Ontarians (more than three-quarters of Ontario's population) and spend more than $1.2 billion per year on roads. Graham found many large municipalities prohibit or restrict using recycled aggregate materials for new roads and infrastructure and for municipal subdivisions. Few large municipalities allow (or they allow only allow partial use of) recycled aggregate materials in the base and fill below pavement, unpaved shoulders and concrete slab. If a municipality allows full use of recycled aggregate, it is most likely to approve its use on construction access roads and bicycle paths. 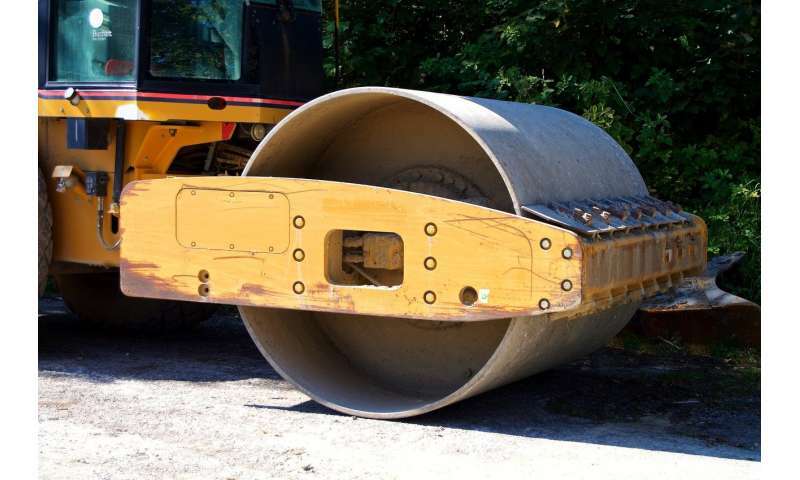 "Greater use of recycled aggregate materials in municipal roads and infrastructure construction and maintenance represent the opportunity for Ontario municipalities to demonstrate their environmental commitment," Graham added. "Unfortunately, Ontario's largest municipalities have a long way to go before they can fully realize the benefits of increased use of recycled aggregate materials." Topping the 'leader' list for most aggregate recycling use were Toronto, Cambridge, Markham, Kitchener and London. Lagging far along the road were Niagara Region, Durham Region, Peel Region, Oshawa and Mississauga. "The research suggests there is room for growth and improvement, by encouraging Ontario municipalities to examine their policies and find ways to realize the benefits of greater use of recycled materials," Graham said. When asked why they didn't use recycled aggregate, the most frequent response was its perceived performance; their second consideration was perceived reliability. Cost-efficiency, waste reduction and environmental protection were far down their lists of concerns. But if it's working for the leader municipalities, it also makes sense that the laggards learn from them, she said. "It's very prudent and responsible for municipalities to ensure the way they are doing road projects has the utmost concern for public safety," Graham said. "Historically the view is new material is much safer than recycled material, and that's the view we're trying to shift." But don't expect changes any time soon. Three-quarters of respondents said they hadn't changed their policy in recent years. Half didn't expect to change policies in the near future. The Ontario government is an example of a public tendering agency that accepts and encourages aggregates recycling. About 20 per cent of the aggregates used in Ministry of Transportation projects – whether for granular base and fills or new hot-mix asphalt – are recycled asphalt and concrete materials. "The province has shown leadership in this area," Graham said. "We also like to take about a greener economy and cost savings and this really is a tangible way municipalities and the provincial government can work together to achieve those goals." Millions of Ontarians rely on their municipalities to build and maintain critical infrastructure, such as roads, Graham continued, adding residents expect their municipal governments to pursue opportunities to reduce their impact on the environment, decrease costs and find efficiencies. "It points to an opportunity. Unless you push, sometimes change doesn't happen."